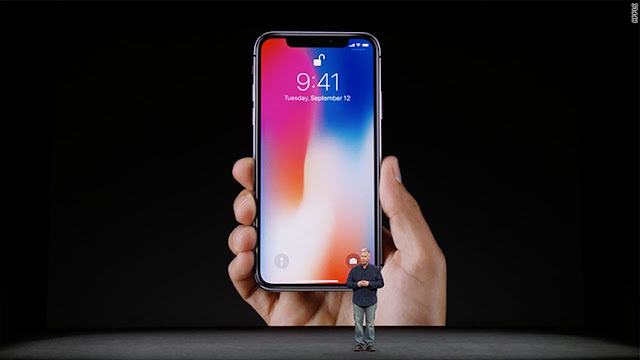 Apple recently launched the iPhone X to much consternation online. Some people lauded it as a bold step forward as we have come to expect from Apple. Gadget review sites expressed concern about how effective the new design might actually be. Whether the gadget lives up to mark remains to be seen since the gadget has not yet been launched. However, what we can say definitively is that the collective business process at Apple has undergone a sea change. The company launched two iPhones: the iPhone 8 which is the replacement for last year’s iPhone 7 and the iPhone X. What made the decision even more bizarre is the fact that the iPhone X costs just shy of USD 1000. It is the most expensive iPhone ever released. So, what gives? What is the purpose, the raison d’etre for the iPhone X? Is it really the step that Apple is going to take going ahead? Or will it be a one-off creation intended for people who think phones are good replacements for trophies? Whatever will become of the iPhone 9? Will there even be an iPhone 9 next year? The answers to these questions are not with us. As with all things Apple, the gadget was meant to be the bombshell that would leave everyone dumbstruck. Instead what we do have is a debate about whether Apple the company is undergoing an existential crisis. The iPhone X is not revolutionary in any way. Its technical specifications are not a significant departure from Apple’s other gadgets. Its storage space on offer is in line with iPhones from the past. From the outside, the gadget seems to have only a few defining features: the top notch that houses an array of sensors and is border by screen on its two ends and the lack of a physical home key / button. No home button means that the gadget does without a fingerprint sensor or TouchID. Instead, Apple is touting FaceID, a kind of facial recognition system that will remain exclusive to the gadget. However, people have already expressed significant concern about the efficacy of FaceID and the remarkable drop in security it presents. Whether the iPhone X succeeds in the market is anyone’s guess. Apple’s gadgets have a history of defying expectations since its customers are not ordinary customers. They are governed mostly buy passion and not logic. And for the most part Steve Job’s Apple did a great job of meeting the expectations of such demanding customers. But now that the miracle maker has left us for a better place, what will happen to his beloved company remains to be seen.